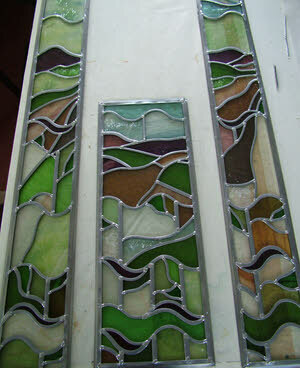 Scottish Landscapes in Fused Glass and Lead, Guildford. The brief for the design was “We love Scotland and its landscape. We are keen to have meaning in our windows and subtle colouring that picks up the colours in our front garden planting scheme”. I was pleased, I love Scotland too so this was a design I looked forward to. 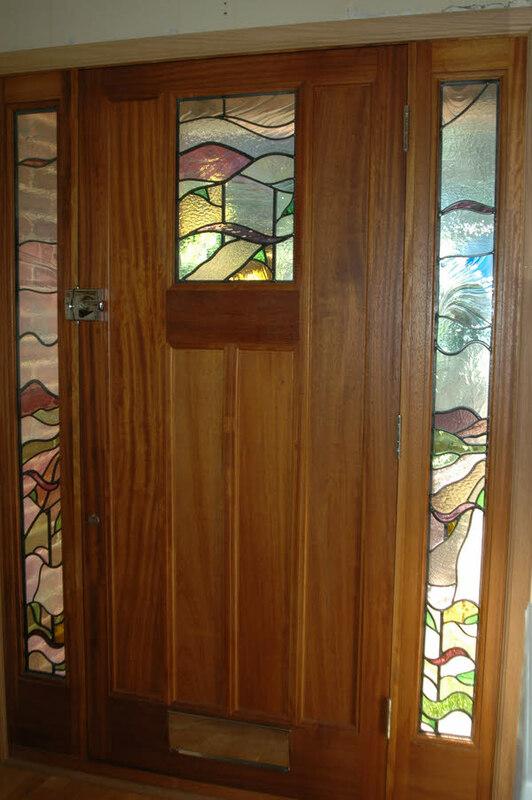 The customer has had a whole new front door made and a frame in matching wood for the porch. My leaded panels are encapsulated into sealed units to comply with latest building regulations. The panels are divided up into sections the proportions of which are based on the Fibonacci Sequence (Wikipedia) which starts 0, 1, 1, 2, 3, 5, 8 etc I have a serious obsession with this pattern and number order. It gives form, order and meaning and is mind blowing in that nature replicates this sequence in many forms such as pine cones and sunflowers. 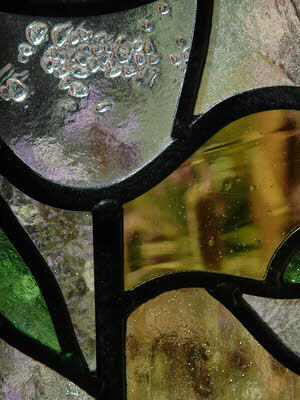 The colours of my glass are muted and all tonally similar yet all have striking differences. I have cut mouth blown antique next to a wonderful Spectrum Baroque glass which is in turn next to pieces of my own hand made fused glass. I have fused in silhouettes of grasses and other plants and beads or grains of clear glass which sparkle and glisten as if they are water droplets. 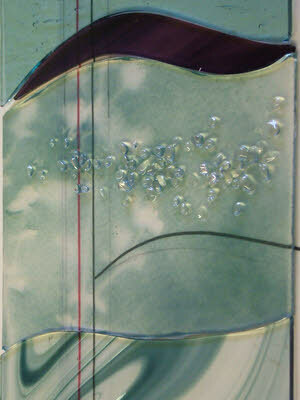 This is my favourite fused glass landscape to date. 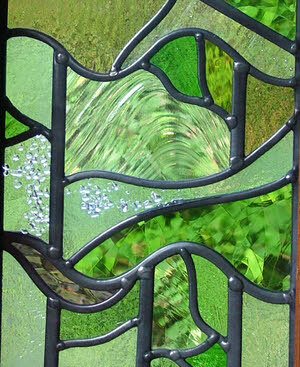 The customer is over the moon and I am very pleased with the finished leaded light panels, all of which were such a delight to make.